Wondering how to go about gaining weight? Having a proper workout program in place is key to success. 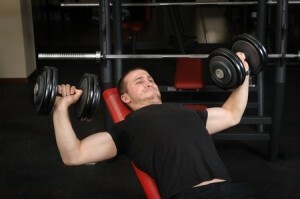 When aiming to learn how to gain weight fast, you need to be focusing on compound exercises. This means those that will work a number of muscle fibres at once, allowing you to lift the heaviest weight possible while also stimulating the greatest growth hormone response. This in turn will lead to you being able to gain weight fast. Choosing these exercises above all others will lead to you seeing the most optimal results possible. Now, how do you structure these in a workout program designed to help you gain weight fast? First you need to take into account your rep range. As you want to be lifting the heaviest weight possible, you’ll be keeping your rep range lower. You should aim to most often be lifting in the 5-8 rep range. During some sections of your program, you can lift lower, into the 3-5 rep range, and in others, a little higher into the 8-10 rep range. But generally speaking, the 5-8 rep range is ideal for building muscle and gaining weight quickly. The number of sets you perform is the next element to factor in. This will vary slightly depending on your own recovery capabilities. Those who are fit, young, and can tolerate more exercise per session may do 4-5 sets per exercise. Those who are older, aren’t as fit, or who simply don’t have the recovery capacity should instead stick with closer to 2-3 sets per exercise. At minimum, do aim for two sets. While you will see great benefits with just one set, you will see even better if you do two sets as far as being able to gain weight fast is concerned. Finally, you’ll want to take into account your rest breaks as well. Since you will be lifting more weight overall, don’t be afraid to take these rest breaks longer. When your main aim is to learn how to gain weight, it’s not a race. If you rush your rest breaks, you’ll sacrifice how much total weight you can lift. Instead, aim for rest periods of around 2-3 minutes in length. You likely won’t need much longer than 3 minutes (as at that point, you should be nearly fully recovered), but avoid using less than two minutes. 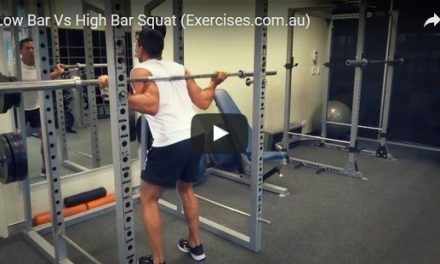 If you feel like you could lift again before the two minutes is up, this could be a good indication that you simply aren’t lifting a heavy enough weight that’s fully challenging you. Here’s a sample full body workout session designed to help you gain weight quickly. Keep in mind that you can also break this up into an upper and lower body workout as well if you prefer. At minimum, you want to try and hit every muscle group in the body at least twice per week ensuring maximum training frequency. That said, do make sure that you also have at least 48 hours between working any given muscle tissue to allow for adequate recovery. Use these tips and you’ll soon see how to gain weight quickly yourself.